Expected List of Lenovo Devices Getting Android 9.0 P Update: Google I/O 2018 is likely to be the event when Google launches the official version of Android 9.0 P. It is also the event where Google can unveil Pixel 3 and it might well come with Android P out of the box. Google has already released Android P Developer version back in March for the developers to test it out and report the bugs and glitches. It is safe to assume that all the bugs are fixed by now and Google is preparing for unveiling it. The developers who have tried out Android P are fully impressed with the new features the new operating system has to offer. They have reported various such important features Android P will come with. If you are a Lenovo device user, you must be worried whether you will get Android P when it releases because there are various Lenovo devices available that are yet to get Oreo update. Notch Support – Most of the smartphones in the mid-range and high-range that are coming out this year are having the same top-notch design as it is on iPhone X. It is becoming difficult for users because a part of the app is getting hidden behind the top-notch. Therefore, Android P is coming with support for this cutout so that developers can optimize the design of the apps effortlessly and users do not suffer anymore. Indoor Navigation – This is the best feature of Android P to watch out for. You will be able to do navigation inside a building especially the commercial ones like shopping malls just like the way you do for outdoor navigation using GPS and Google Maps. Of course, you need the smartphone that supports the feature and all the premium smartphones are the ones expected to support it via an update in their firmware. Stop Spying – You are not aware of the fact that many apps that are open in the background are recording your conversations with your speakers and your videos through your cameras without letting you know. They are then passing on those recording to spying agents and whatnot. Android P will let only the active app that is open on your screen to access speaker and camera and no other app can access it in the background illegally. Apart from these features, there various other features like better notification and message system, a toll for screenshot editing, five Bluetooth devices connection at once, multi-camera support, a dark mode for OLED screen and much more. 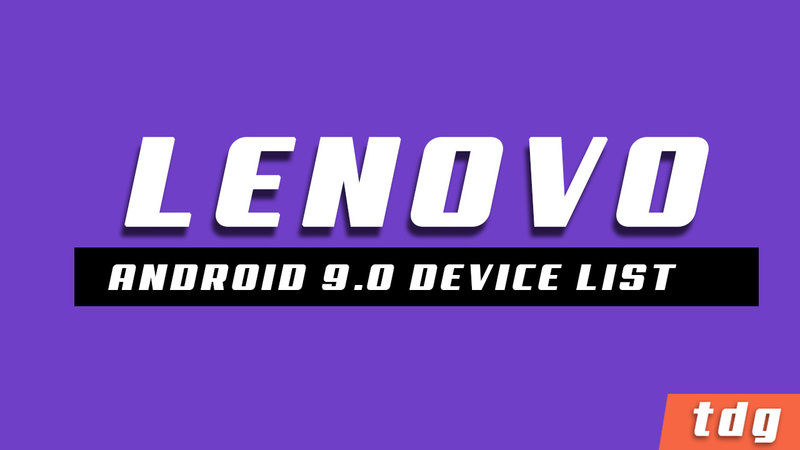 The following is the list of Lenovo devices that can get Android 9.0 P update.